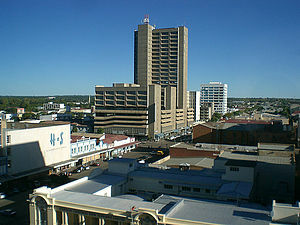 BULAWAYO - The Commission of Inquiry into the sale of State land in and around urban areas got down to business in Bulawayo on Thursday when it started conducting court hearings at Rainbow Hotel. Addressing journalists at a press conference held at the Rainbow Hotel, Commission chairperson, Justice Tendai Uchena said that in Bulawayo the court was interested in schemes that include Rangemore, Umvutshwa B, Woodvale, Reigate, Good Hope and Mopani Farms; in Mat South the team is probing Judds and Doelfontein Farms which are both in Gwanda. “The Commission is also interested in Huntingdon, Webster, Wartrail and Luscombe farms in Plumtree and any other such urban State land that may be known to the public,” said Justice Uchena. In Mat North, the Commission will spread its tentacles to Ndengwenge Farm in Lupane, Hwange State land and Masue State land in Victoria Falls. The Commission will interrogate Government and local authority’ officials on various matters pertaining to acquisition, allocation, planning and development of urban State land handed over by the Ministry of Lands to the Ministry of Local Government Public works and National Housing . “The Commission also subpoenas urban state land actors in land acquisition, allocation, planning and development such as those who are alleged to have illegally sold or purchased stands,” he said. So far the commission has been to Mash East, Manicaland and Masvingo provinces.